This rc toy is an innovative drone! 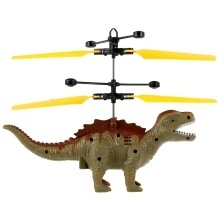 It has amazing appearance, DINOSAUR, which will attract children&apos;s attention. Hesitate for what? Take this little cute buddy to home!